16/4/19 – Munch has found a home! 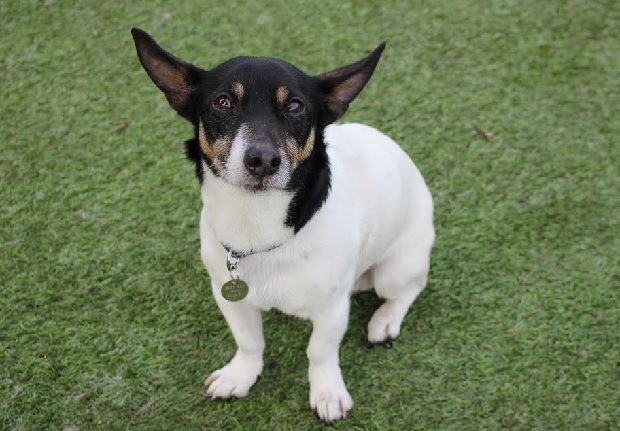 Timid little Munch is an 11-year-old Jack Russell Terrier who is with Freshfields Animal Rescue in Liverpool after being taken to the vets by his owner to be put to sleep for biting the grandchild when he became startled. Munch is not an aggressive dog, and has always been fine with adults, but he is not comfortable around young children and did growl at the grandchild on several occasions before this bite. Freshfields absolutely do not believe that his life should have ended because of this and are so pleased they were able to save him. 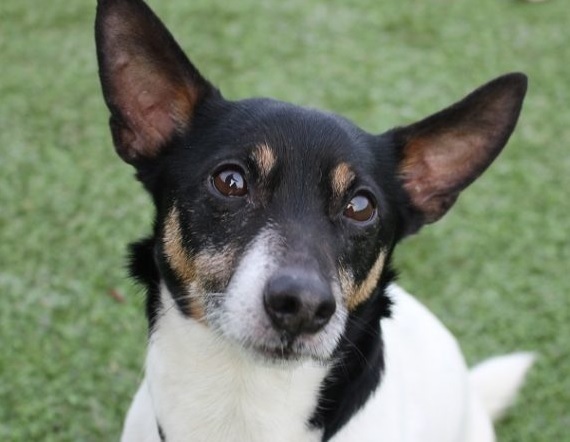 Munch is an adorable, affectionate and sweet little dog. He loves attention and will roll onto his back for a tummy rub. He is happy to be picked up and he used to sleep in his previous owner’s bed at night. Munch is clean and non-destructive and will make an ideal companion for a retired person or couple. He needs a quiet adult-only household, free from visiting children with no children planned for the future. Munch is fine to be left alone for a few hours but he does prefer company. He doesn’t like other dogs and can be reactive on walks, but he has previously lived with a cat so may be able to live with a cat in his new home. Munch has a slight heart murmur and is in need of dental treatment but apart from this he is in good health and is a very active little boy who enjoys his walks. Adorable Munch is sure to steal the heart of anyone he meets and Freshfields are desperate to find him a comfortable, loving retirement home. Please mention that you saw Munch on the Oldies Club website.